PalmBeachGems: Turquoise: Natural or Not? One of the most popular gemstones in America has long been turquoise. Usually associated with the desert southwest and the Native Americans of that region, it seems that turquoise jewelry is always in style. It comes in a wide variety of colors and quality and a wide range of prices. If you are in the market to buy turquoise, it is critical that you know exactly what you are getting. There are legally five different forms of turquoise. Natural Turquoise - This turquoise is not treated in any way. It is naturally hard enough and beautiful enough that it is just mined, cut and polished. By some estimates, less than 3% of all turquoise on the market is natural! This is the most valuable and collectible form of turquoise. Stabilized Turquoise - This turquoise is naturally beautiful, but was a little too soft to be practical as a jewelry stone. It has therefore undergone a process to harden it. It is usually infused, under pressure, with a clear epoxy resin. The resin allows the turquoise to be cut and polished and makes it much more durable. 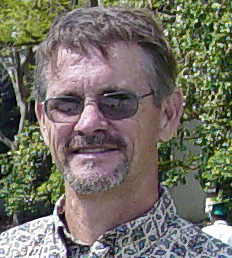 Another process has more recently been developed that involves vaporized silica being infused in the turquoise. Most of the turquoise on the market is stabilized in some way. It should be less expensive than completely natural material. Although less valuable, it is real turquoise and makes beautiful, affordable jewelry. Treated Turquoise - It is soft turquoise that has been stabilized as described above, but The color has also been enhanced. Normally a dye is added to the epoxy in order to improve the color of very light or poorly colored material. The colors usually look a little artificial. It should cost much less than natural or stabilized turquoise. Reconstituted Turquoise -Very low grade turquoise "chalk" that is ground into powder, saturated with epoxy resin, dyed, and compressed into blocks. The blocks are then cut and shaped into stones to be put into jewelry. Obviously, these stones should be very inexpensive. Imitation Turquoise - These contain no real turquoise at all. They may be an entirely artificial material like a plastic or they may be some other type of stone that has been dyed to look like turquoise. Howlite, which is a very common, naturally white stone, is often used since it is a similar looking texture and is porous and takes dye easily. 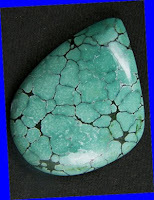 Techniques for treating and imitating turquoise are constantly improving and it is becoming very difficult to tell sometimes whether or not a stone is treated or even if it is real. Experience will help you spot fake or treated stones. Once you've looked at a lot of genuine turquoise you will develop a sense of what looks real and what doesn't. Genuine turquoise has a somewhat waxy look, not too glossy. If nuggets are darker in high areas and lighter color in the low spots they are probably dyed. If buying beads, look in the hole! If it is white inside, it is fake. But even experts can sometimes be fooled. Your best bet is to buy from a reputable dealer. They should disclose if it is natural, treated or imitation and offer a money back guarantee.